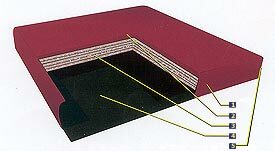 Softside waterbeds come in a variety of different depths so it is important to know the right measurement before you choose your new softside waterbed replacement mattress. Measure from the top of the foam rail to the bottom to get an indication of how deep your mattress is. Our waterbed replacement mattresses are available in a variety of different styles and comfort levels. From straight free flow bladders all the way to top of the line dual systems, we are sure to have a mattress that is right for you. To learn more about the different types of waterbed replacement mattresses, be sure to visit our buying guide for helpful tips in making the right decision. Do you have any questions? Please feel free to call us toll free at 1-800-630-5889 and we will make every effort to assist you! All of our softside bladders are 10% thicker than the competition! All of the waterbed replacement mattresses have a full replacement warranty for five years, and all seams have lifetime pro-rated warranty! 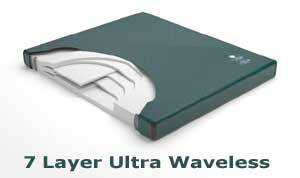 Looking for other softside waterbed accessories? 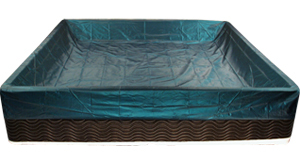 Click here for a full selection of replacement covers and pads, waterbed conditioner, repair kits, fill and drain kits, foam rails and safety liners. 90% waveless softside replacement mattress. PLEASE-2 TUBE MINIMUM Replacement tubes for softside waterbeds. If you have a somma liftop style softside bed choose somma from the size menu. PLEASE- 2 TUBE MINIMUM-Replacement waveless tubes for softside waterbeds. They have foam filling inside tube to stop waves. 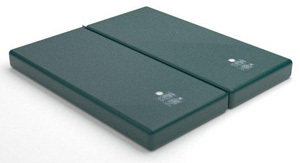 If you have Somma style lift top choose Somma and size from the drop down menu. semi motion softisde mattress to fit simmons beauty rest softside bed. 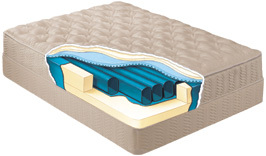 Dual-semi motion softisde mattress to fit Simmons Beauty Rest softside bed. Waveless softside bladder made to fit simmons softside bed. All Simmons softsides are straight wall either 6 or 7-8 inches deep. Dual Waveless softside mattresses(both sides) to fit Simmons Beauty Rest softside bed.